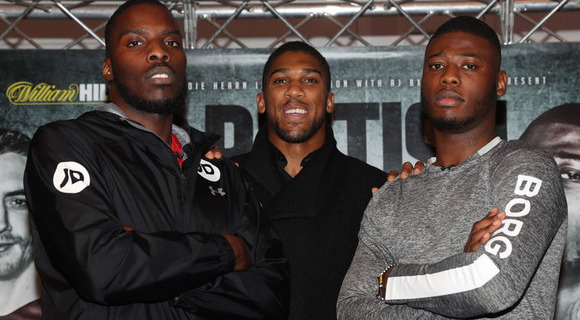 This Saturday at the O2 Arena, Greenwich, London, two cruiserweight prospects put their unbeaten records on the line. Rio 2016 Olympian Lawrence Okolie (7-0, 6 KOs) faces London rival Isaac Chamberlain (9-0, 4 KOs) in the head-liner of the ‘British Beef’ card, which is promoted by Eddie Hearn’s Matchroom Boxing. Okolie, at 6’5, is three-inches the taller man. Both fight out of the orthodox stance. Trained by Brian O’Shaughnessy, the Hackney boxer has powered his way through the early stages of his career. At times, he’s a bit rough around the edges but has an excellent variety of shots. The 25-year-old is always looking to do damage, he has a good jab and slams hard to the body. Can walk straight in and get caught but that adds to the excitement when watching him fight. Isaac Chamberlain, 6’3, trains out of Miguel’s Gym in Brixton, South London. The 23-year-old is trained by his uncle Ted Bami, a former European Super Lightweight champion. Isaac had less than ten amateur fights but boxes in a smooth controlled manner. Has a good jab and moves well. He looks to box but throws quality shots on the inside. He holds the best win, of the two, he outpointed veteran Wadi Camacho, over ten rounds. In that fight he dislocated his right shoulder in the third round. The corner popped it back in during the interval, at the fighters insistence. Chamberlain recently took out an advert in a local paper, which poked fun at his rival. The two have exchanged words and there seems genuine animosity between the pair. Both are taking a risk and it’s refreshing to see, so early in a their careers. This is only the second professional year for Lawrence, while Isaac turned professional in 2015. It’s a twelve-round contest and Okolie has yet to get as far as the seventh. Chamberlain has done ten-rounds once. Not many expect this fight to run the full course. The power is with Okolie while Chamberlain looks to be the smoother boxer. I expect Okolie to look to test his opponent’s chin early. If Chamberlain can absorb, or avoid, the power and take it late then he could well see his arm raised at the end. It’s difficult to predict an outcome with any certainty. This fight is going to answer a lot of questions about both men. A loss, for either man, is no disaster as they have plenty of time to comeback. Credit must go to both for risking that sacred ‘O’. The winner will pick up the vacant WBA Continental Cruiserweight title though victory is more about bragging rights. The card will be shown live on Sky Sports Main Event & Action, in the UK, from 7pm.